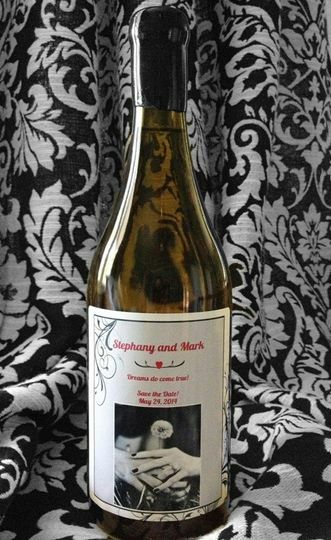 Personalized wine! We are a small winery in San Diego county that loves helping people celebrate life! 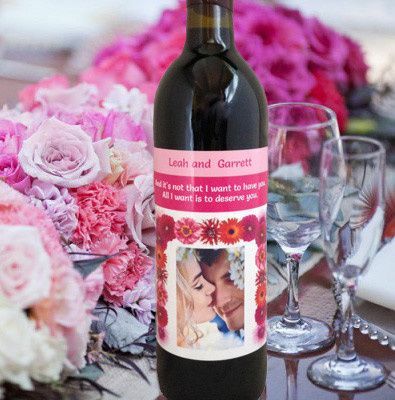 Our easy to use and fun website allows you to create a beautiful and personalized wine label that we will deliver on our delicious wine. Our gift box is beautiful and gift worthy! Don't see the color or style label you need? 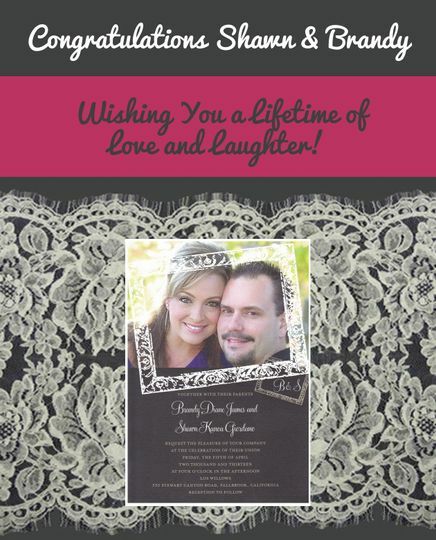 Email or call us and we will customize one for you! At no charge! 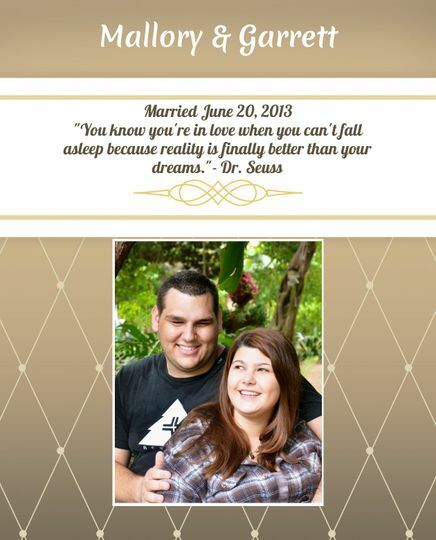 Unique save the date announcements! 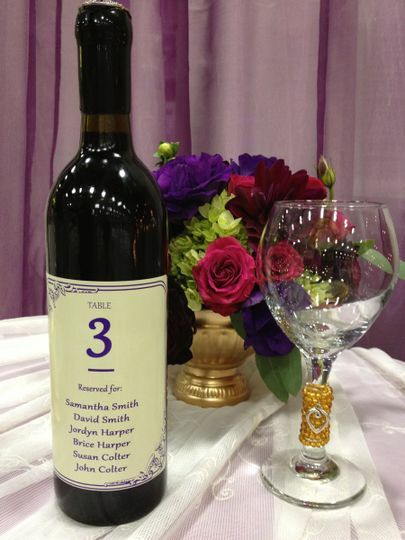 Beautiful and customized wine label on delicious wine! 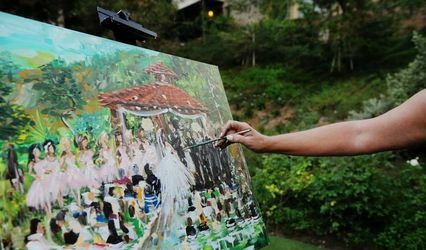 Unique way to show your guests where they are seated. 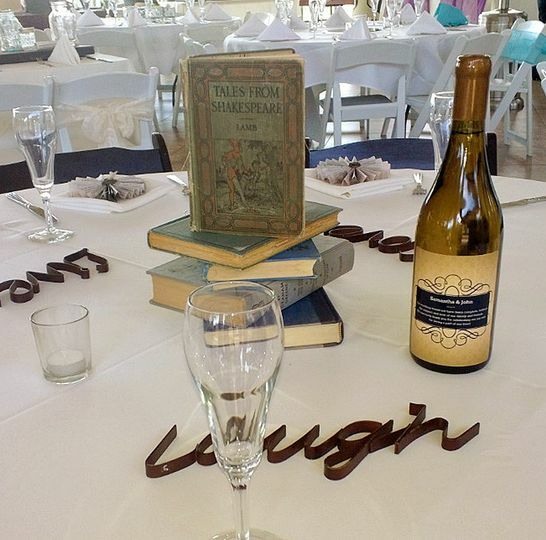 Elegant way to thank your guests and they will enjoy drinking it! 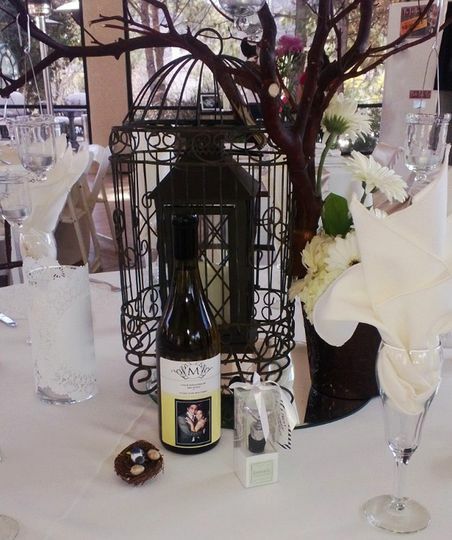 Beautiful wine bottle that matches your table setting. 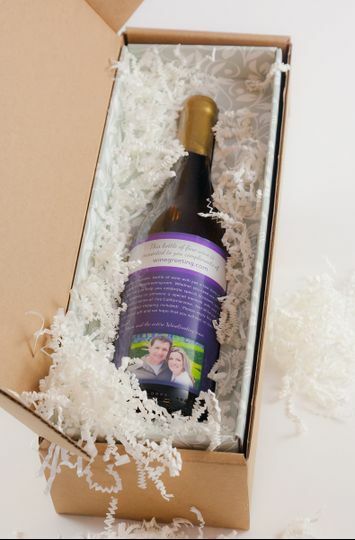 Custom gift boxes - your gift arrives safely and in a beautiful package! 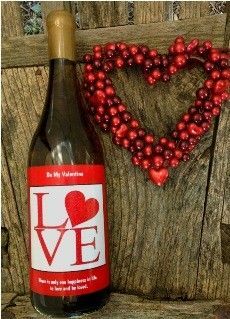 Share your thoughts and love on a bottle of wine to give to your guests! 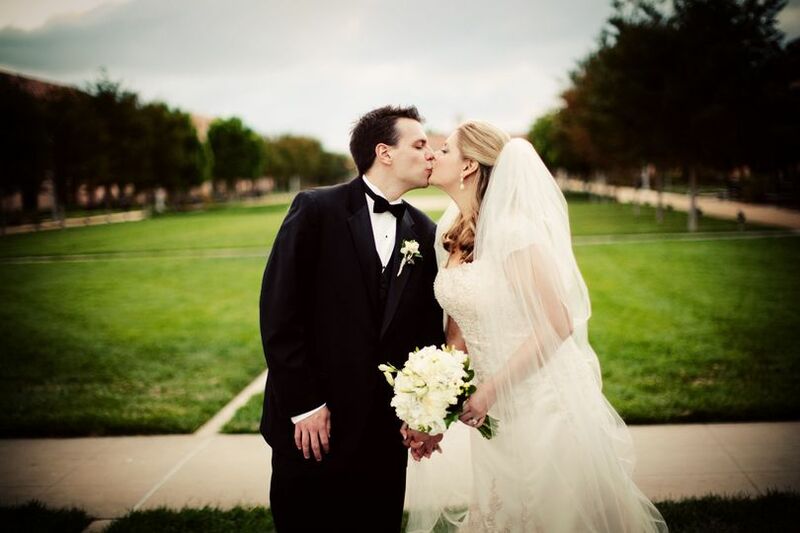 So many ways to celebrate your love!